Swaziland, a small, landlocked monarchy in southern Africa, is known for its wilderness reserves and festivals showcasing traditional Swazi culture. Marking its northeastern border with Mozambique and stretching down to South Africa, the Lebombo Mountains serve as a dramatic backdrop for Mlawula Nature Reserve’s many hiking trails. Nearby Hlane Royal National Park is home to diverse wildlife including lions, hippos and elephants. 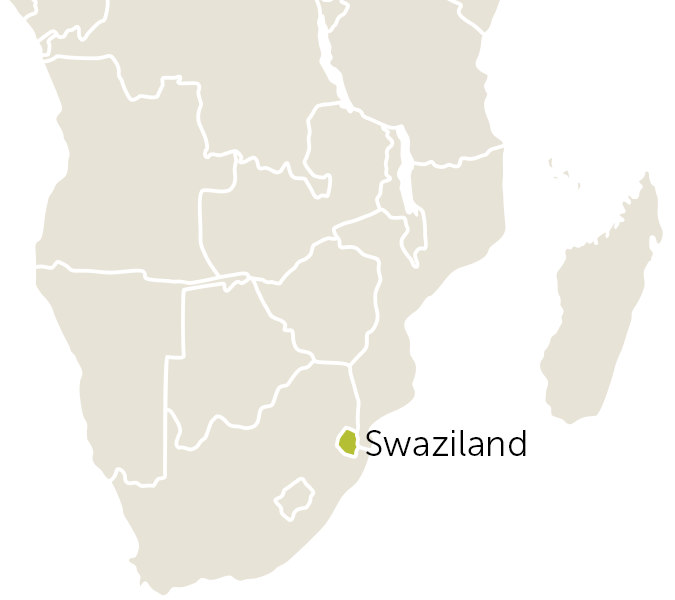 Swaziland is ranked as a lower middle-income country. Yet income distribution within the country is extremely unequal. The wealthiest 10 per cent of the population account for nearly half of total consumption and there is an ever-widening gap between urban and rural development. There are clear signs that poverty and unemployment are on the rise. About 84% of the country’s poor people live in rural areas, where per capita income is about four times lower than in urban areas, and food consumption is two times lower. A large proportion of rural households practice subsistence agriculture. About 66% of the population is unable to meet basic food needs, while 43% live in chronic poverty. When drought hit Swaziland in 2004 and 2005, more than one quarter of the country’s population required emergency food aid. 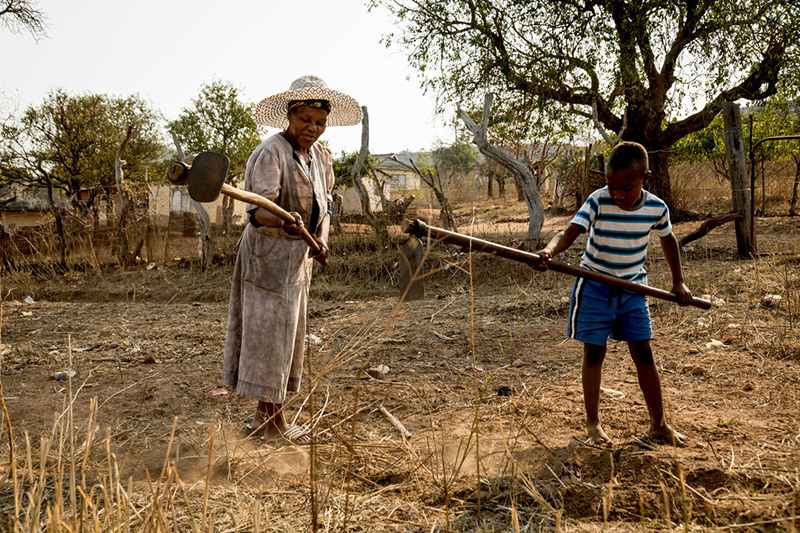 In 2007, Swaziland experienced one of its worst droughts which led to major food insecurity. Women are particularly vulnerable to poverty. Constitutionally, women can own and control land and their finances. However, traditional social systems discriminate severely against them and often bar them from owning and controlling land. In rural areas women have less access to education, and as many as 70% of adult females are illiterate, compared to the national average of 21%. Households headed solely by women are growing in number, as men seek employment away from home and HIV/AIDS takes its toll. Women struggle to feed their families and meet household needs singlehandedly. At present 20% of households are headed by women, and a further 20% are managed by women while adult males are employed away from home. Young people are increasingly vulnerable to poverty. About 47% of the population is under the age of 15 and in the next decade or so, young people without work will cause the number of unemployed to rise considerably. There is an urgent need to create employment opportunities for this large and growing number of young people, most of whom are children of poor households. 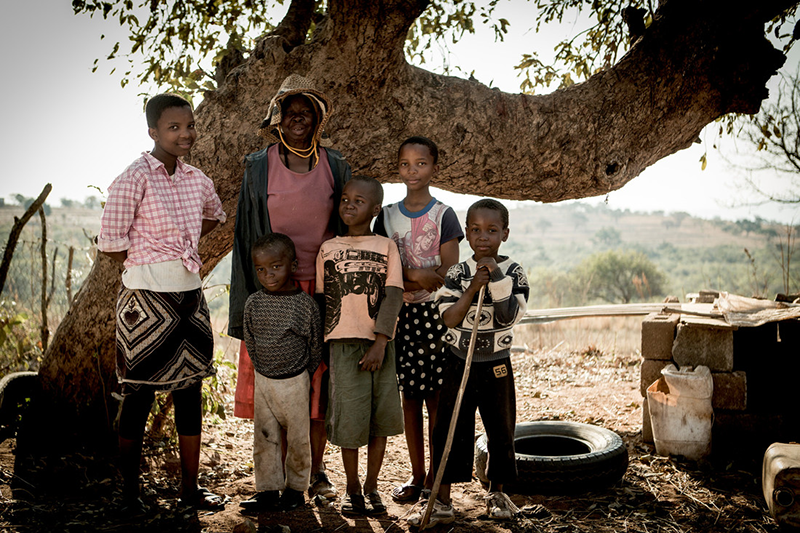 Swaziland is experiencing a major increase in child-headed households as a result of HIV/AIDS pandemic. 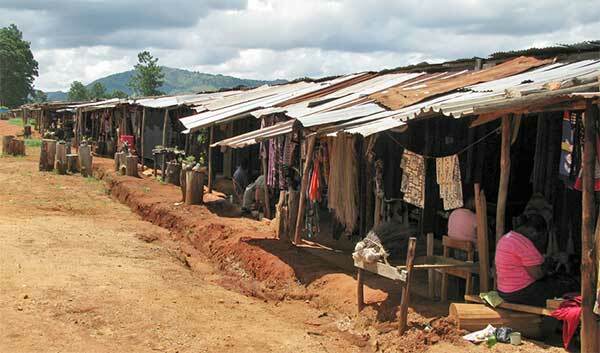 Poor economic growth, a rapidly expanding population and an increasingly uneven distribution of resources are factors that contribute to the growing number of Swaziland’s rural poor people. Other factors aggravating poverty are the rise in unemployment, the HIV/AIDS pandemic and the fact that large parts of the country are vulnerable to drought and climate change. Environmental fragility is beginning to affect food security. Overgrazing has caused soil depletion, while drought and periodic floods have become persistent problems. Smallholder farmers living on Swazi Nation Land face a number of obstacles that prevent them from breaking out of poverty. The low agricultural productivity of the land can be attributed to a number of factors including difficult road access, poor linkages to markets, limited availability of irrigation water and vulnerability to climatic changes. According to the CIA World Factbook (2009), Swaziland has the highest HIV infection rate in the world (26% of all adults; more in other reports) and also the lowest life expectancy at 32 years, which is six years lower than the next lowest average of Angola. 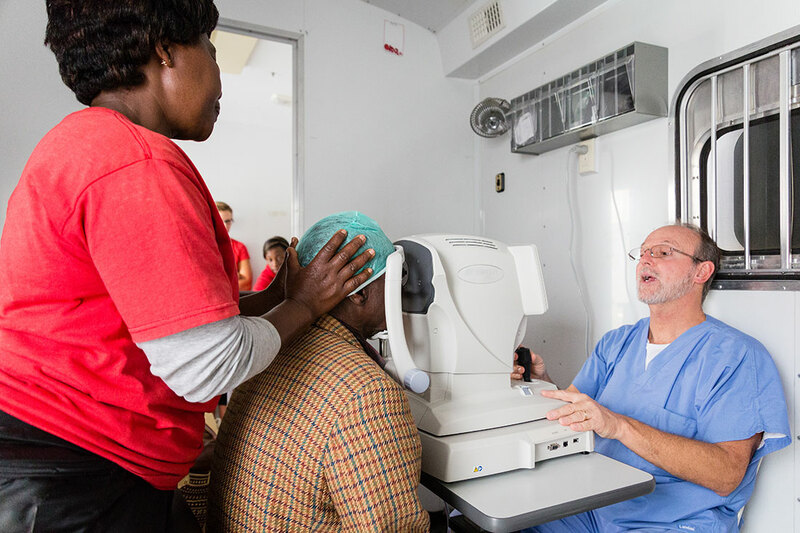 Swaziland’s healthcare system consists of public and private healthcare facilities, as well as traditional based medicine offered by community healers and physicians. The public healthcare sector is administered by the Ministry of Health & Social Welfare, providing an efficient number of healthcare facilities in the country. Public healthcare facilities are spread out throughout Swaziland; around 80% of the population is located within 8 km from a healthcare facility and 63% are able to access a facility within one hour. Although access to healthcare is adequate, limited healthcare personnel and resources make it virtually impossible to efficiently administer quality healthcare services. 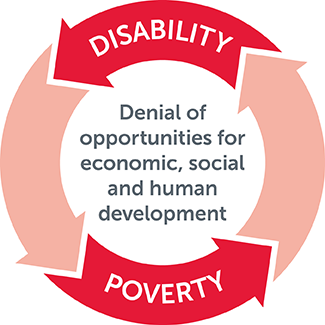 Throughout the developing world, people with disabilities generally have poorer health, lower education achievements, fewer economic opportunities and higher rates of poverty. This is largely due to the barriers they face in their everyday lives, rather than their disability. 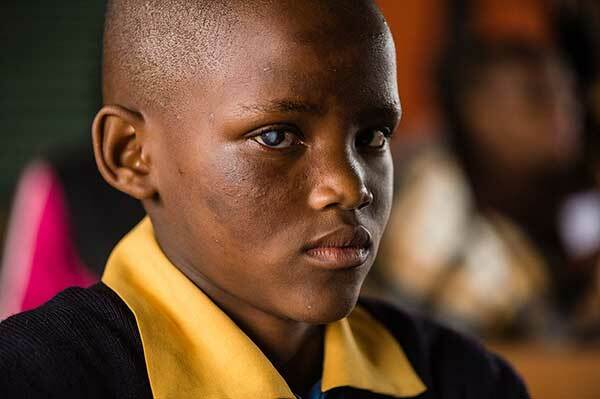 Disability is often misunderstood in Swaziland. Hearing impairment is often seen as lack of intellectual capacity. Blindness and physical impairment is seen as a curse sent by the gods. Children with disabilities are often mistreated by other children. Some can’t walk the kilometres to and from school. Others can’t see the blackboard or hear the teacher. Classrooms are overcrowded and underfunded. Special supports are rarely available. Many children with disabilities find the taunting too hard to take, so they drop out. Parents with disabilities have a more difficult time securing employment, so the whole family falls into deeper poverty. 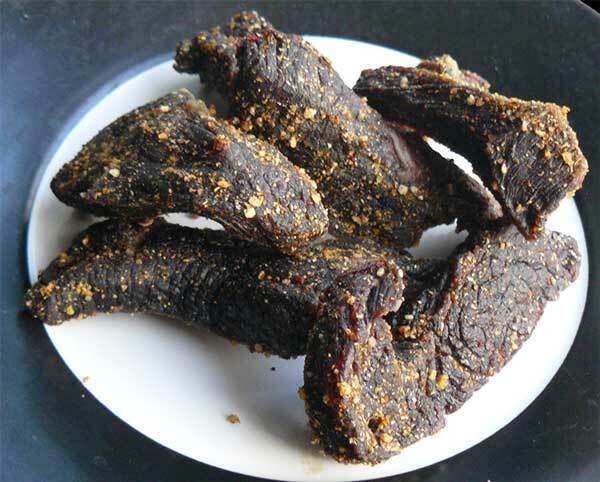 Staple foods in Swaziland include sorghum and maize, often served with goat meat or beef biltong, a very popular livestock there. Meat is generally a luxury for Swazis. Animals are slaughtered for special occasions. When this happens nothing is wasted, with stews made with spiced chillies including tripe, offal, hooves, trotters and chicken gizzards. Other popular foods include pumpkin, beans and rice, where available. Sweet potatoes are widely cultivated and sorghum is farmed in some areas. Fruits include many tropical varieties in season, such as mango, guava, paw-paw, banana and avocado, which grow freely around most homesteads. The best time for most fruits is the late rainy season, from December to March.